They say that beauty comes from within. What you eat won’t only show on the figure, but also on the skin, nails and hair. The oldest beauty tricks in the book are connected to food. Even way back, people knew what to eat and use for a young appearance. That’s why we gathered a short list of foods with beauty benefits that you’ll love right away. They are all delicious, available for everyone and amazing for your health. Check out the list below to find out more on how to improve your beauty routine through food. Strawberries are your skin’s best friend. Actually, all types of berries can do wonders for your face and hair. They are all rich in Vitamin C. This vitamin is so important because it stimulates the production of collagen in the skin. Your complexion will be more youthful and wrinkle-free. 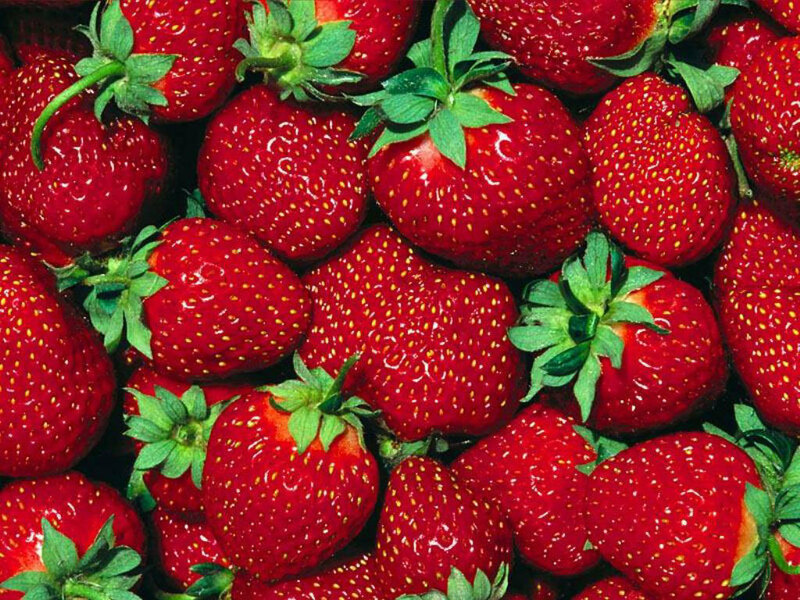 Strawberries can easily smoothen the fine lines. Another very important role of this delicious fruit is the teeth-whitening effect. Everyone feels more beautiful with a pearly white smile. The antioxidants present in all types of berries will keep you safe from the damage of the cells. 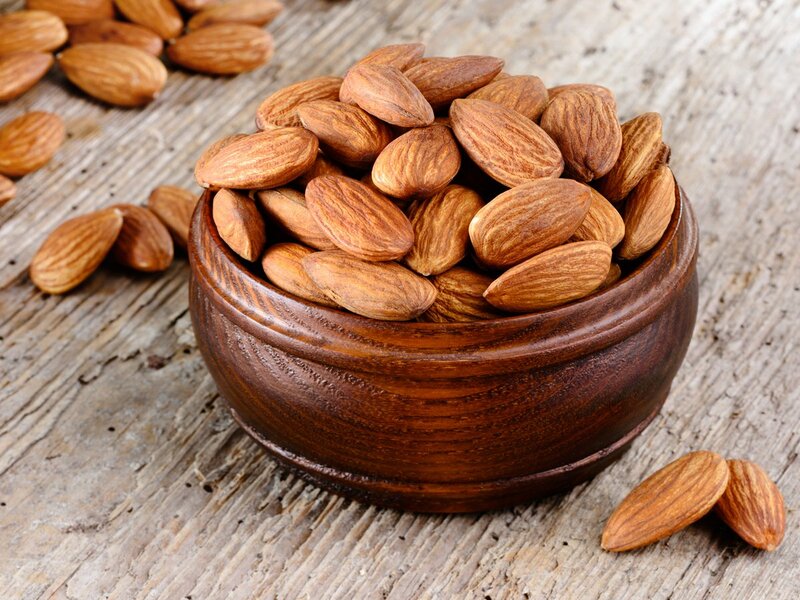 Almonds are another food that should make your list if you want perfect skin and hair. These nuts are very saturated in flavonoids, a very important compound for the skin. They are also packed with Biotin, better known as Vitamin H. For all the ladies and men out there struggling with hair loss, this is a great supplement that fights the process. Other useful ingredients include Vitamin E, magnesium, antioxidants and so much more. Thanks to selenium and manganese, your hair will look healthier than ever. Almonds should now become your favorite snack. They’re so easy to get, plus you can even bring them with you at work. 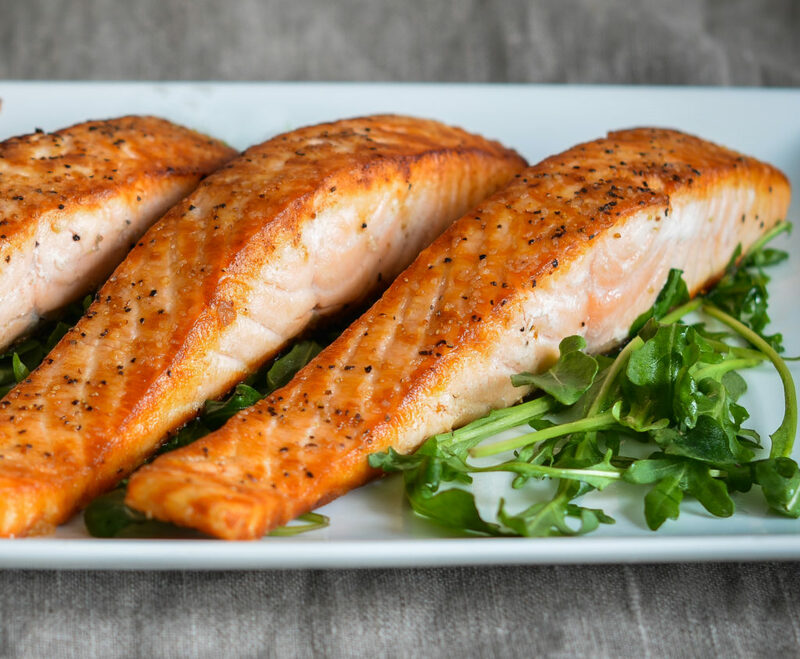 Salmon is one of the best foods with beauty benefits. It will provide you with a flawless complexion and healthy skin. To achieve that effortless natural glow, simply include this fish in your meals. As you already know, salmon is high in omega-3 fatty acids, which you should ingest regularly. It is recommended that you have it at least once a week. You can cook salmon in so many different ways so that even the picky eaters will love it. Research shows that one of the biggest reasons for dry skin is not getting enough omega-3. There is a solid reason why avocado is used in so many face and hair masks. This fruit is one of those ultimate foods with beauty benefits. There’s also a solid reason why everyone you know is obsessed with avocado. It is tasty and fits perfectly into every single meal of the day. You can start the morning with avo toast, add it to your salad for lunch and prepare a delicious soup for dinner. It is rich in Vitamin E, a very important part of skincare. 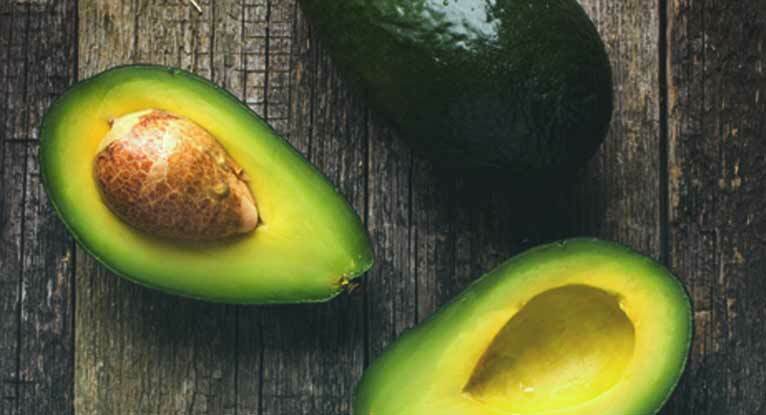 Aside from that, the avocado is packed in potassium, magnesium, antioxidants, fiber and more. All you need in such a small fruit. 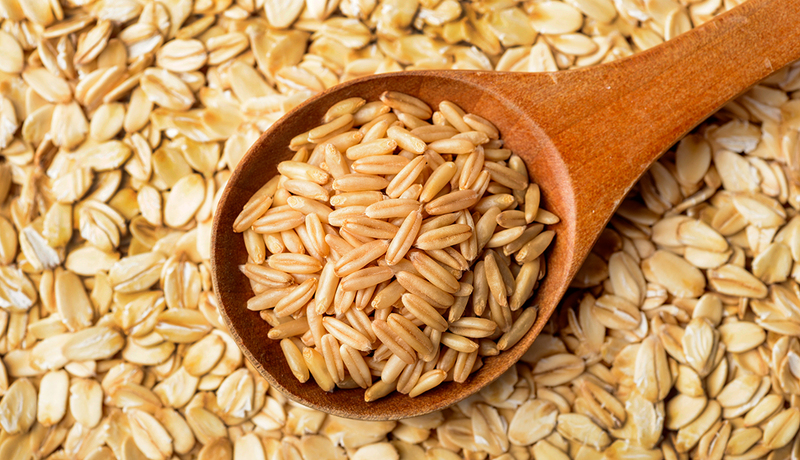 Whole grains should become a regular part of your life if you want to use all the beauty benefits. They contain selenium, which is essential for the health of nails, skin, and hair. It has the ability to fight inflammation and prevent the damage of skin. It is so easy to get whole grains in oatmeal, flour, brown rice, buckwheat, quinoa, bulgur and so much more. Next article The Brady Bunch House is bought by WHO? The Brady Bunch House is bought by WHO?